Choosing an effective solar PV system for your need can feel like a difficult task, but if you focus on the essentials it becomes easy. The main components of a solar PV system are the solar panels, the inverter, and the mounting system. Each of these have a range of options to choose from, but understanding the differences among them will ensure that you select the right system to meet your long term energy needs. There are a few different types of panels available today, with the majority based on crystalline silicon technology. There are two basic types of crystalline silicon panels – mono crystalline (mono-Si) and poly crystalline (poly-Si). Mono-si cells are slightly more efficient, meaning you can get little more watts out of a given area. They also perform slightly better in low light conditions, but their higher price compare to poly crystalline is downside. Poly crystalline panels are less expensive and for dollar-for-dollar, you can get more power out of them. Other panels in the market based on thin film technology ranging from amorphous silicon to panels made from newer thin film materials. These panels tend to perform better in high temperature, low light conditions but their use are less common due relatively new technology and their lower efficiencies. An inverter converts the direct current (DC) produced by the solar panels into alternating current (AC) used at homes or businesses. There are three types of inverters are available today – central inverters, string inverters and micro inverters. Each type has pros and cons depending on a project size, site and suited for different applications. Central inverter is typically a large string inverter which is used in large scale projects. String inverters are currently the most cost-effective inverter option available and have been used for decades. This type of inverters connects solar panels in series to create strings and number of strings are connected in parallel to create a single solar system and easy to install. If the roof is exposed to sun without shade throughout the day this type of inverter is a good option. If one or more of the solar panels are likely to be shaded during any part of the day, the power output from all the panels that are connected in series would be reduced to the lowest panel production level. Fortunately now we have optimizers to mitigate this problem associated with string inverters and provide additional functionalities to string inverters. Micro inverters are a newer technology and more expensive than string inverters. Micro inverter is installed under each panel solar panels convert DC electricity into AC electricity at each panel. Since they are installed under the solar panels on the roof they are exposed the hash Canadian weather all the times increase the number of failure points. Since they installed under each panels they are not prone to the partial shading problem associated with string inverters. Solar panels can be mounted on the ground, wall or roof. Depending on where the solar panels are mounted mounting system options will vary. Type of roof, soil conditions also affects the selection of a mounting system. In general, a roof mount system has lower costs as the roof is already there to support the installation. In contrast, a ground mount system requires more upfront investment to prepare the site, but is less complicated for the actual installation process. Along with new technology, mounting systems have undergone standardization, simplification and now mounting options are cheaper, simpler and easier to install. Installing a roof mount system requires one to be more than a solar expert and need to have good understanding of building construction. Roofs have their own set of concerns, from durability to drainage that need to be considered when installing a roof top solar system. Another challenge with roofs is that no two are exactly alike. Each rooftop is unique and will have its own set of variables—such as pitch, shingles, vents, drains and chimneys—that can complicate the design and installation process. This is compounded by the fact that one really does not know what will be found until up on the roof. These unknowns can add up and the amount of time spent designing and installing a rooftop solar system can become a large part of the total project cost. A monitoring system displays the details of the performance of a solar power system. There two main types of monitoring systems are in use, one display the whole system output while other displays each panel output. In either case the performance data of a solar power system is uploaded into a web portal and access through desktops, laptops, PDAs and smart phones ect. 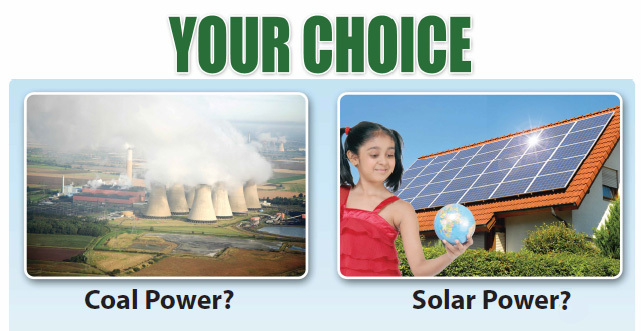 Properly designed and installed solar power system can last for 40+ years. Hence a proper monitoring system can eliminate lots of headaches and reduce maintenance cost during these years. The best way to decrease the anxiety about the unknown is to work with a good installation partner who is vendor neutral, offer different solutions for you to choose for your specific needs rather than providing one cookie cutter solutions for all and abreast of the developments in the industry. A good installation partner will be able to give you a number of tips and streamlined process for your project, support, and tech manuals to ensure that system you install is a success for its life time. When designing a solar system, site conditions and energy needs carefully considered and appropriate components must be selected to ensure customers’ energy needs are met. A good installation partner who anticipates the issues you might face, address them, and help you at every step of the way from initial contact to final installation is good to have on your side. The term “Audit” has several meanings. The common meaning comes to mind is “Financial Auditing” which many Managers, Directors of Commercial institution understand quite well. Year-end Financial Audit is required by Stakeholders, Regulators etc. as a way to see how the organization had managed the finances. Banks ask for audited reports to approve loans and so on. There are other meanings to “Audit”. Here we are explaining what an “Energy Audit” is and its implications. Energy Audit also means Energy Assessment, Energy Analysis, Energy Survey, Energy Evaluation – all these intended to study the use of energy and find out ways to use the energy more efficiently. Efficiency is (Energy Usage/Energy Purchased) and higher this number means more efficient the system is. Higher efficient system means you are getting better return of the energy purchase. Or you can achieve the same result by spending less on energy. Energy is a commodity purchased (hence Money) as Electricity, gas, oil, water in many commercial institutions. This energy is used for various activities of the institution for production activities (if any), heating and cooling of the building, lighting, ventilation and so on. Energy is measurable, hence its use could be analysed to see if the energy is used efficiently. In other words, is the money spent to purchase energy well used? Can we achieve the same effect of use of energy using less purchased energy? Energy usage will be items like production activities, heating, ventilation, cooling etc. which are essential for the functioning of the business. Waste energy are like exhaust from boilers and other fuel burning equipment, exhaust of used air, used water drained into drainage and so on. Energy loses are due to undesirable leakage out of the building. The first step in an Energy Audit process is to gather information of Purchased Energy by way of Utility bills – Electricity, gas, oil, water etc. for at least one year and 2 to 3 years would be preferable. Analysis of these bills – called Preliminary Energy Use Analysis (PEA), give an idea of baseline energy usage and Energy Use Intensity (EUI) and compare it to other buildings of similar function. This comparison indicates how efficiently your building uses energy compared to similar buildings and similar usage. If EUI of your building is higher than the others, there is a good potential to go to the next step to become more energy efficient. Arrange a Level 1 Audit – which is a walk through audit to identify low cost/no cost measures for improving energy efficiency. Level 1 Audit additionally identifies potential capital improvements which can improve energy efficiency/reduce energy consumption. This audit/survey consists of visiting the site and walking through all spaces of the building and noting of anomalies, talking with key personnel on the way the building is operated/used and to establish general energy saving potential. If you are managing a portfolio of buildings, Level 1 survey of all the buildings can establish which building has higher potential and to prioritize for Level 2, Level 3 audit. Stay tuned for more on Level 2, Level 3 audits and what results could be expected. Managers know very well that Financial Audit has costs associated with it. In the case of Energy Audit too there are costs associated with it. However part of the audit fee is recoverable via Audit Financing programs by Utilities – typically 50% of eligible audits. The balance cost is usually recoverable on adopting the recommendations by way of energy savings. Capital equipment upgrades also have incentive programs. Contact us by saveonenergy@newdawn-es.com or phone 416 855 9377 to book an appointment to help your energy management team.